It’s amazing to see the amazing lengths that technology has come to over the past twenty years and its impact on businesses organizational structures, their processes and their productivity. Communication technology has developed by leaps and bounds which has seen a complete transition in the behavioral business habits and working processes that were traditionally considered to be sound. 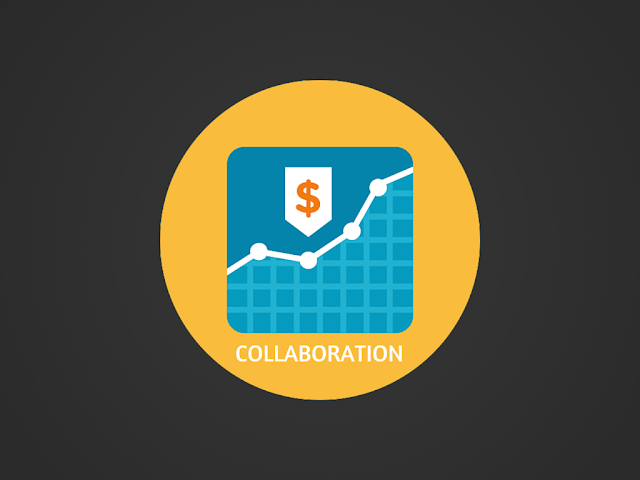 Collaborating spurs innovation and business growth. It facilitates discussions, ideas and is encouraged by some of the leading business minds. Their recognition of the value of collaboration to an organisation is helping to shift the behavioral tendencies of traditional management to a new era of modern management. This includes building and developing the team by sharing power and responsibility in project tasks. The mission should the business choose to accept it, is for the company to become a well-connected company. Internal crowd sourcing can fuel growth and innovation for a company. Businesses can take advantage of the trends by encouraging members within their organisation to use collaboration tools that will spur these motives. The direction from these two iconic business minds are signs that the ideals behind open innovation and collaboration will continue to take hold in a business’s growth strategy. Collaboration occurs when a group or team comes together to work on tasks. Previously where this had to be done physically in an office or meeting space, technology has been able to break down the physical and geographical barriers that were required for collaborative efforts to become possible. Instead of businesses depending on travel to one meeting space, organisations are now able to have their team collaborate in virtual environments that offer a better collaborative space. The improvements in technology can be seen both across software and hardware devices is fuelling the growth of productivity and new virtual working industries in the form of virtual assistants. Record data management through note taking, photo and video recording. Sharing of data over the Internet, VPNs, USB and Bluetooth. One of the biggest game changers is that people can access the technology without having to invest a large financial resource to reap the benefits of using the applications, software or hardware into their organisation. For example, the rise of SAAS models (Software as a service) where companies can purchase an ‘off the shelf solution’ that will allow for collaborative efforts for businesses. Hardware solutions are also available under a leasing model that can improve the communication and collaborative efforts of a company almost instantaneously. From cloud-based server solutions to communication devices, businesses can implement hardware systems that can further enhance their communication and collaborative efforts across their organisation. Previously where the company would have had to invest in the development and rollout costs of bespoke software or hardware. The off the shelf solutions provide the same product with ongoing tech-support and developments that will further enhance the business user experience. Business leaders may have felt more disconnected with the specialists in their business in the past. The rise and ease of accessibility of collaborative technology are allowing the business leaders to develop a stronger sense of the ground root operations in the specialty area of their organisation. This allows those business leaders to take more confident decisions with the direction of their business as the accessibility to the data is typically available at any time. Feedback on the information can be provided by the specialist quickly from any location if the data is stored remotely. Business leaders who are always on the move are now in a position to make smarter and more concise decisions; literally at the touch of a fingertip. A concern that strong business leaders recognize is the specialist groups within their organisation is when they work in a silo so much that the organisation becomes disjointed rather than collaborative. Improving the communication and collaborative practices within the organisation via hardware and software investments can motivate personnel to create more integrated work practices in the organisation. The creativity in the app development market has fuelled the improvements in collaboration for organisations. Developments for smart devices, web browsers and desktops are increasing our efficiency and working productivity within the business. The increase in products from SAAS (Software as a service) is one of the areas leading the change. Programs such as Basecamp, Google Docs, which are a couple of examples of collaborative tools that are allowing people to better manage projects going forward. What Does The Future Behold? It is necessary that business leaders recognize the value of collaboration early in their business’s development. By becoming early adopters of collaboration tools and integrating them into the business’s infrastructure or framework, the business should benefit from increased productivity and efficiency. Business leaders should keep their fingers on the pulse with any new developments that could further enhance their organisation’s collaborative efforts. Macquarie Telecom is a full-service hosting provider, committed to providing world-class customer care. The company specializes in managed hosting and business-only telecommunications in Australia. They work with some of Australia's largest organizations and pride themselves on delivering integrated end-to-end communications solutions.